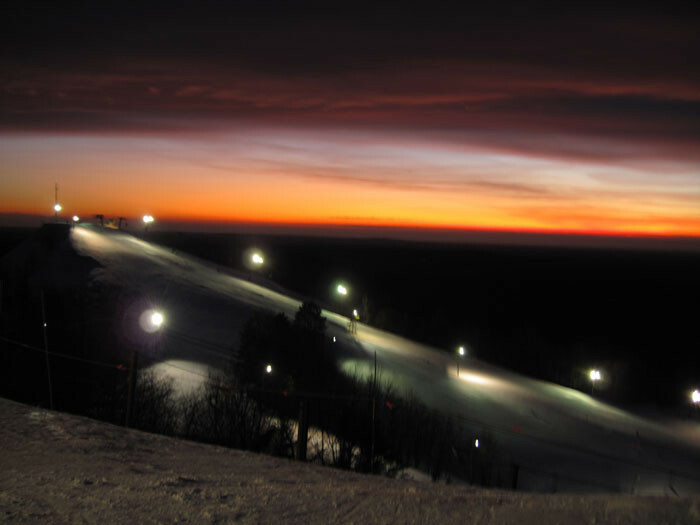 Caberfae Peaks is home to the highest lift-served peaks and some of the best ski terrain in Michigan. The Peaks has something for everyone, with a dedicated novice area and ski school for beginners, as well as the vertical drop and challenging terrain to satisfy experienced skiers and boarders. The Blackmer Lodge provides a great place for day skiers to relax by the two-story stone fireplace, get a bite to eat, or visit R'Dub's rustic pub. Ski shop, cafeteria, restaurant, bar, ski corral, ski school, child care. Get Snow Reports, Powder Alerts & Powder Forecasts from Caberfae Peaks straight to your inbox!